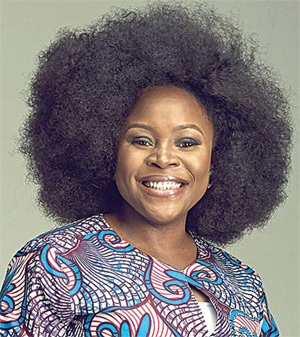 One of such people is music diva, Omawumi Megbele, who spoke to Showtime on why she would have voted for her if she hadn’t withdrawn from the race. “I listened to her during the presidential debate; her views, the things she said struck me, not because she is a woman but because she is experienced. She was a former minister, she has always been involved and she always speaks out when things go wrong. She was the major propaganda of the ‘Bring back our girls’ campaign; so it’s not because she is a woman. It’s because I feel that of all of them contesting for presidency, she is the best person for the job. But that’s my opinion, everybody is entitled to one”, she said. Speaking further, she noted that just like Oby Ezekwesili, more women can contribute to the growth of Nigeria only if they get actively involved in politics. “I think that as women, with active participation and inspiring other young women we can contribute to the growth of the nation. That is exactly what is happening now; when women sit down together, what they talk about is no longer domestic issues. What we talk about is why politicians think they can misbehave and not be held accountable. When women are being more interested in what is going on and then we can continue to spread the conversation. The more it spreads the more women we will find to be interested in knowing and being a part of the movement. It’s not always easy but we will get there”, she noted.